No elastic or synthetic yarns. Very wide ribbed cuffs, so easy to take on and off without binding. Oversized to allow for normal shrinkage. Nonallergenic and highly recommended for those with allergies to synthetic fibers. May be worn with the cuff rolled down or up. imported. 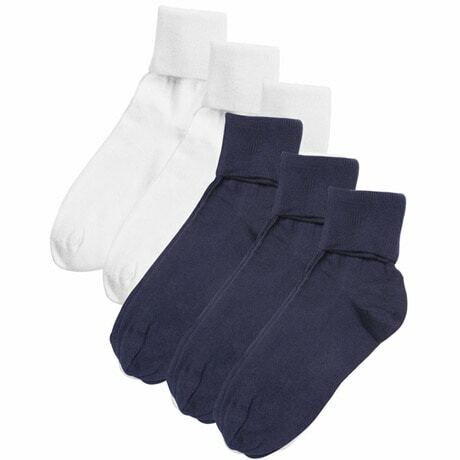 3 pair per pack. Available in White, Black, Pastel, Natural & Navy. Large (9 ½-10 ½).